than are small samples. The sampling error will decrease as the sample size increases. the question arises that how large sample is requires. There are no simple rules for determining the desired sample size. Some factors to be considered are the homogeneity of the population, the degree of precision desired by the researcher, and the type of sampling procedure that will be used. If the population is very homogeneous or alike on all variables other than the one being measured, a small sample size may be sufficient. On the other hand, if the researcher wants to be very precise in generalizing to the population based on sample data, a large sample may be necessary for the sample to accurately represent the population. Finally when probability sampling methods are used, smaller samples are needed than when non-probability sampling techniques are employed. Many uncontrolled variables are present. The researcher thinks that age may influence the study results, but is unable to control for this variable. Small difference are expected in members of the population on the variable of interest. Small but important differences between members of the population may not be uncovered when small samples of each of the subgroups. 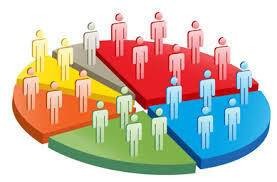 The population must be divided into subgroups, sample size must be increased to assure inclusion of members of each of the subgroups. Drop out rate among subjects is expected to be high. his problem is especially likely to occur in longitudinal studies. Statistical tests are used that require minimum sample size. Certain statistical tests require minimum members of responses in each cell of the data. Although large samples are desirable, the law of diminishing returns implies. A samples of 100, or 10% may be necessary to obtain the required precision desired for a population of 1000. A 10% sample of a population of one million would require 1,00,000 elements. This would be a huge sample and would be unnecessary. In fact, samples of 2000 or 3000 are often sufficient to estimate the characteristics of the entire population of a country. A more important issue than the size of the sample is the representativeness of the sample. Election results can be predicted with very small percentages of votes counted because the polled voters have been thoroughly examined for representativeness in voting behavior. It is always wise to set the sample size a little bit larger than what is actually desired (to allow for non response or subject drop out) and also to establish an absolute minimum size of the sample if only five subjects agree to participate. The researcher must make the decisions about the minimum acceptable sample size before the data collected begins. Power analysis is a procedure that can be used to determine the needed sample size for a research study. This procedure is very important in experimental studies. The power of a statistical test is its ability to detect significance in a study when it is present. One factor that influences the power of a test is the sample size, that is used in the study. In many studies, researcher conclude that no significant differences exists between the experimental and the control group when, in fact, a difference would have been detected if the sample had been larger. 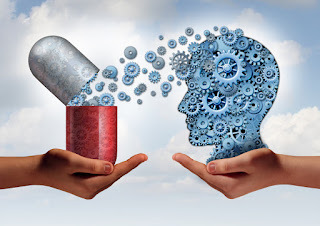 The researcher would be wise to perform a power analysis before conducting a study and make the decision not to conduct a study if the analysis indicates that the needed sample size would be very difficult to obtain. Most nursing research studies are lacking Generalizations to total populations, therefore, are usually difficult to make with any degree of confidence. The use of small sample sizes dictates the need for studies to be replicated. If several investigations find, similar results when studying the same topic, generalizations to other populations are more appropriate.